Stokes County is nestled in the Blue Ridge foothills of North Carolina. A rural county, it has traditionally relied on agriculture. In recent years however, the growth of Greensboro and Winston-Salem have made Stokes County more urbanized as more and more people leave the cities to enjoy the flavor of a more laid back lifestyle. There are three towns in Stokes. King is the largest and fastest growing. Walnut Cove is convenient to both Greensboro and Winston-Salem, and Danbury is the county seat with a population of less than 120. Commuting is easy from Stokes County. As for recreation, the spectacular Dan River runs through the entire county and offers family canoeing, kayaking, and tubing. 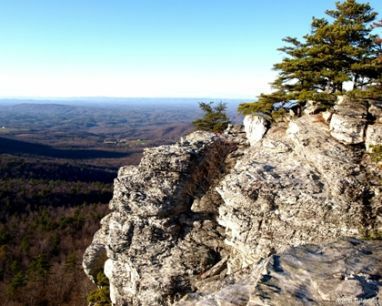 The unique Sauratown Mountain chain runs through nearly half the county and provides the setting for Hanging Rock State Park – a wonderful park for hiking, camping, swimming, and horseback riding. If you’re interested in Stokes County and you are looking for a recreational/hobby farm, a home with acreage, a rural land tract to build your dream home, or a great home in one of Stokes’ small towns, call Carolina Farms & Homes. Listing and selling rural properties like these is our specialty and niche. Give us a call.